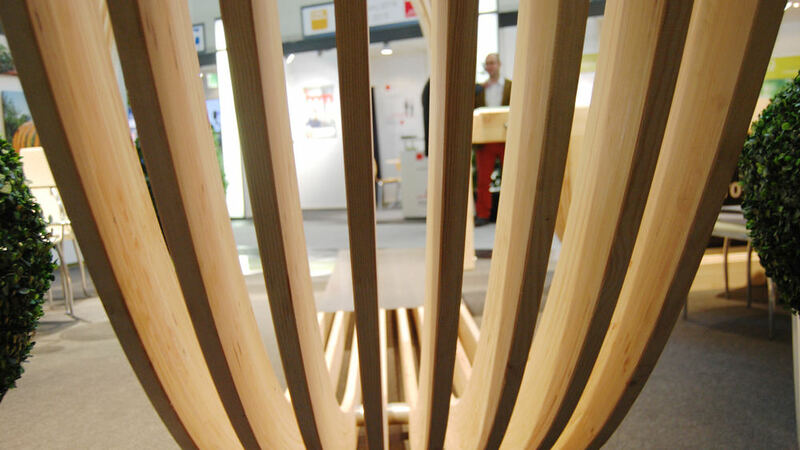 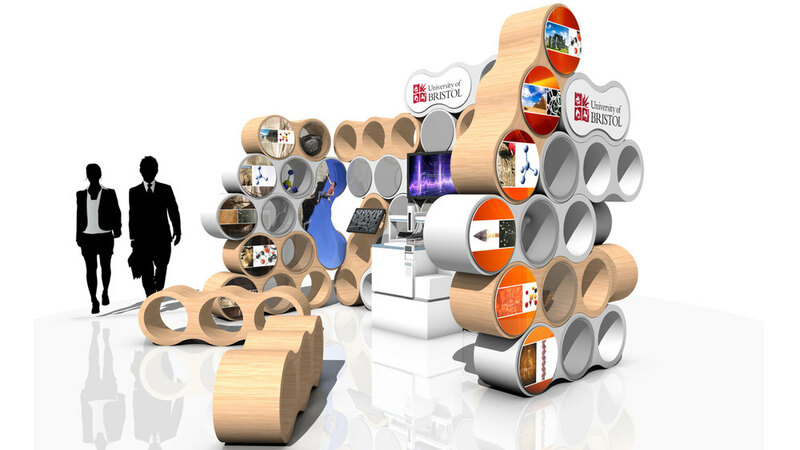 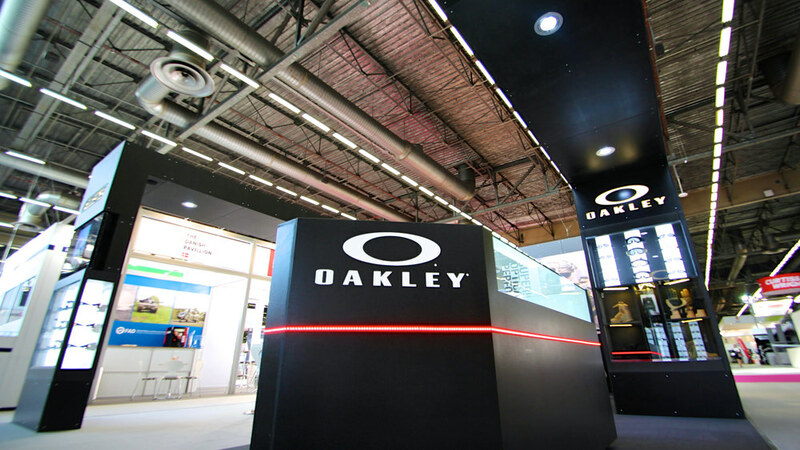 Themed, reusable, low-carbon exhibition display. 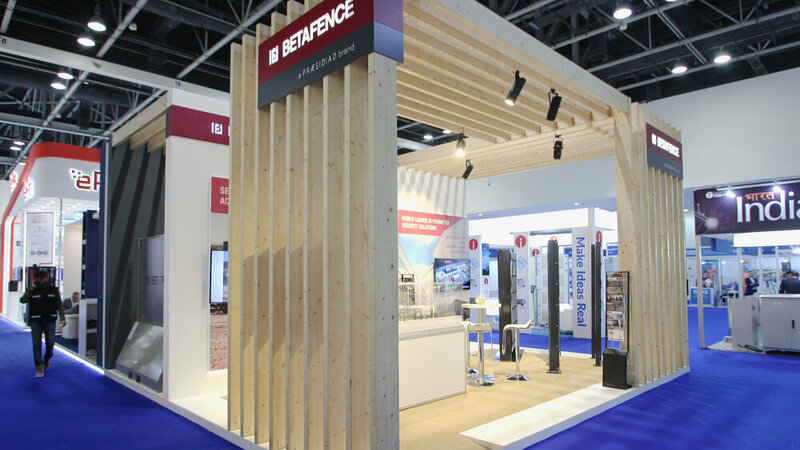 Simulate the use of HESCO Bastion's Concertainer® product ‘in situ’. 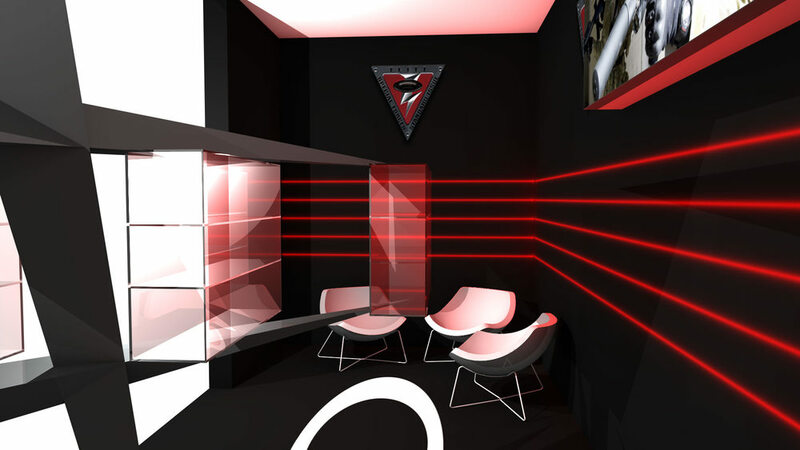 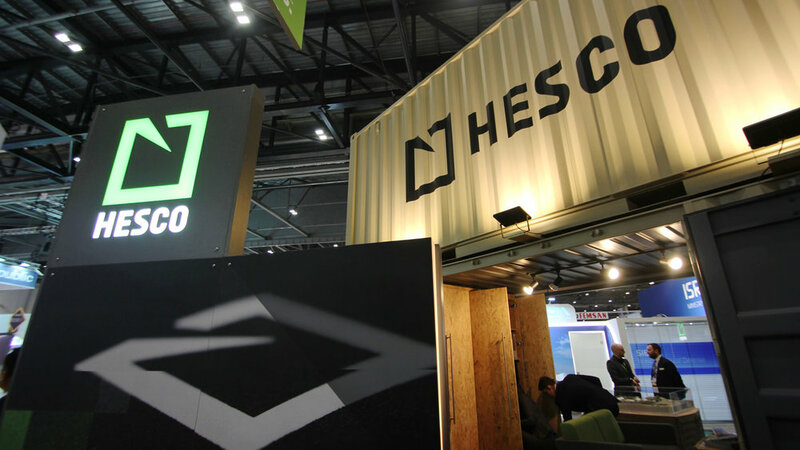 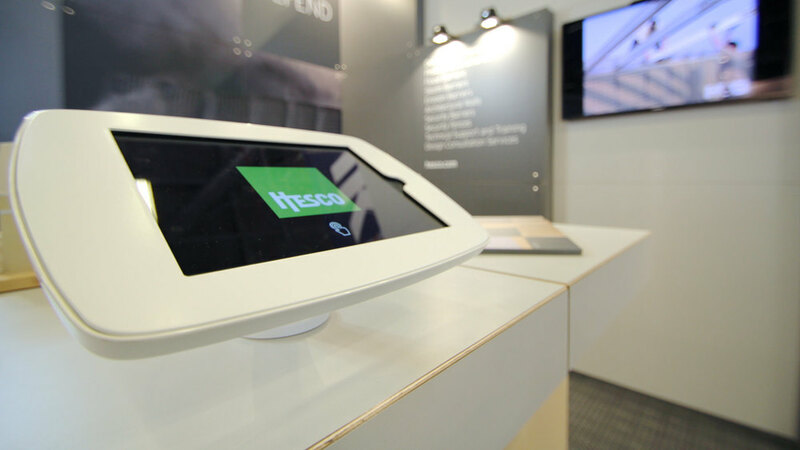 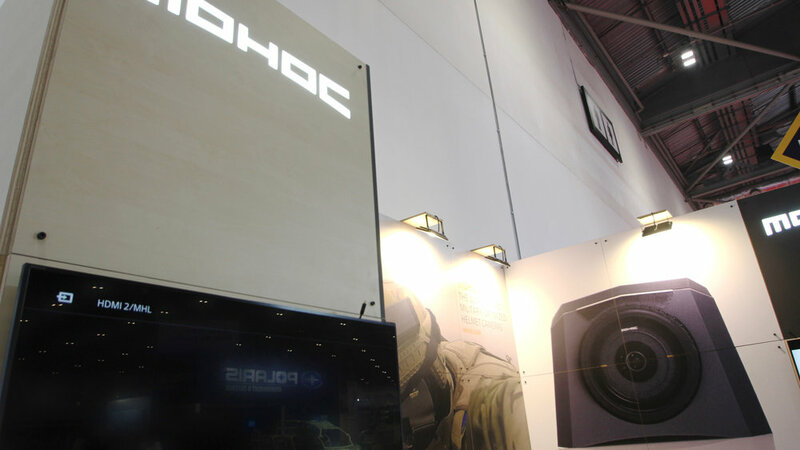 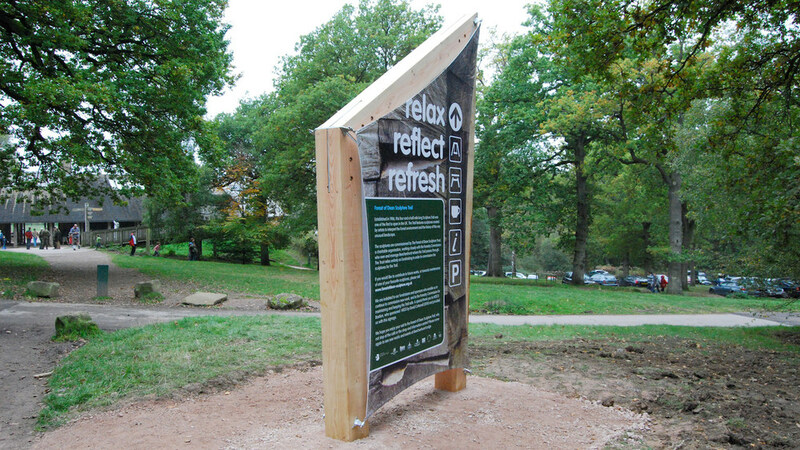 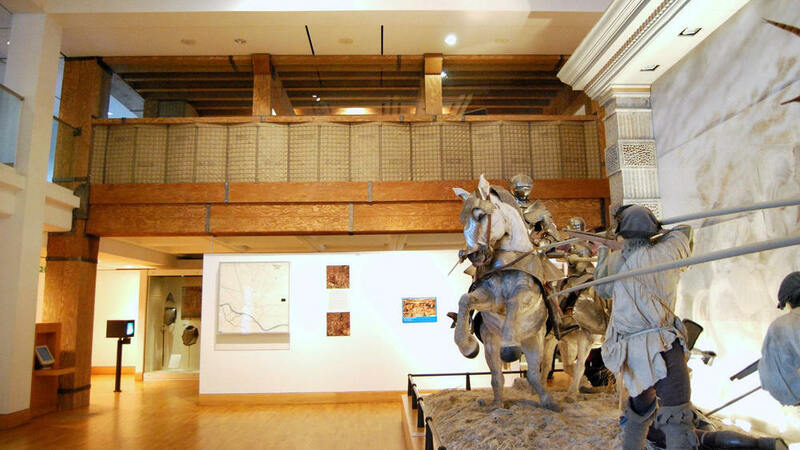 For Hesco’s ‘in the field’ exhibition programme, bespoke exhibition design company, Designrock, created a stand simulating the use of Hesco Bastion's Concertainer® product in protective fortified compounds. 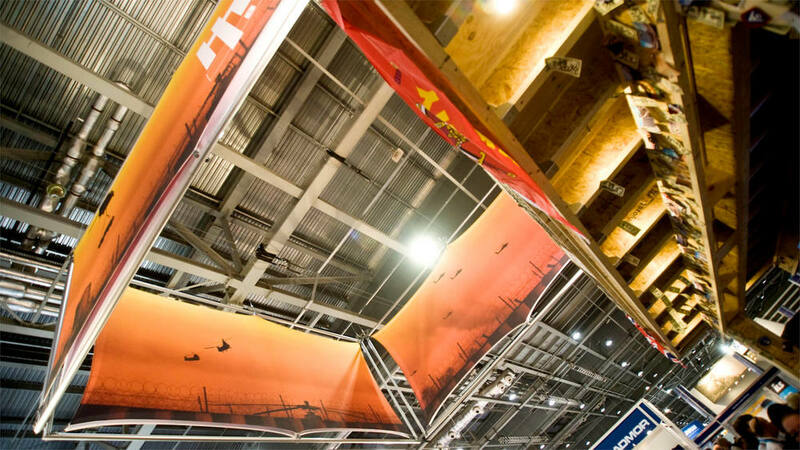 Incorporating a makeshift bar the display has proved a popular informal oasis across a series of trade shows. 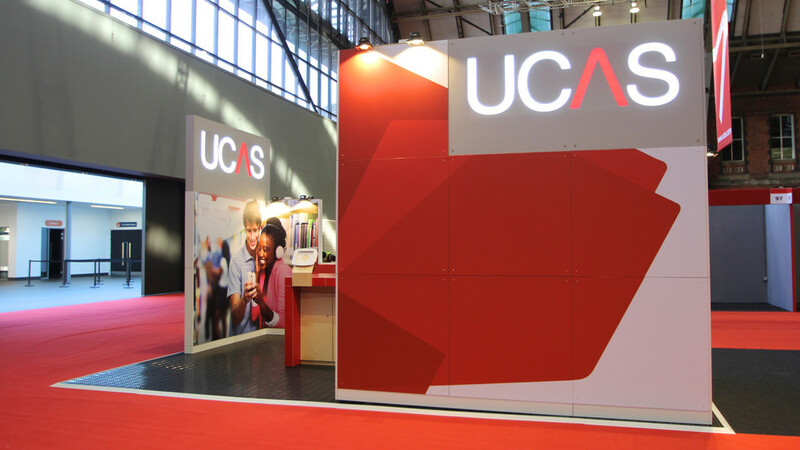 The unrefined aesthetic and staged setting engages senses and emotions and culminates in a vibrant environment that draws visitors to the stand, immersing many in their own reality. 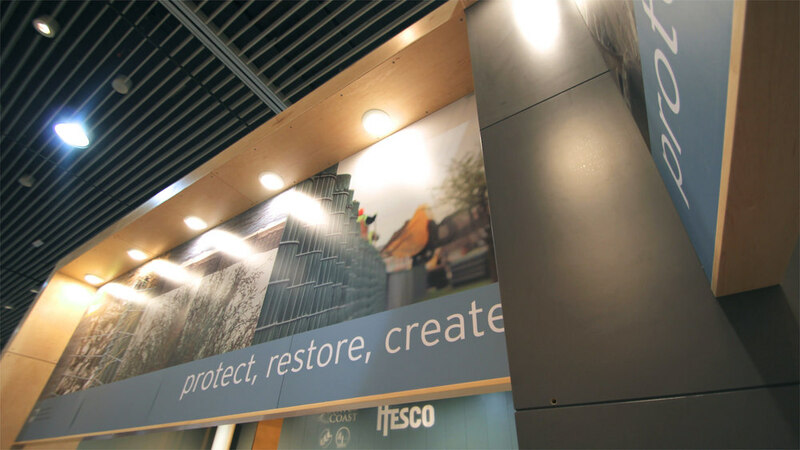 ”Designrock have been fundamentally instrumental in the success in what we do here”, Communications Manager, Hesco Bastion Ltd.